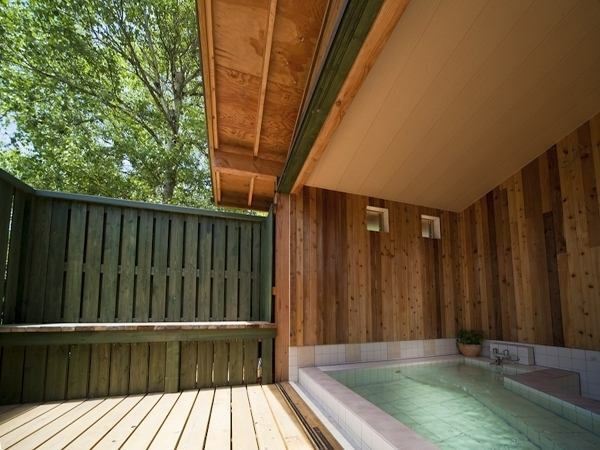 The bath was completed by the owner's handmade. Please use the remote corridor adjacent to the pension through the corridor. We do not make a wall facing the south, so that we can go out to the terrace with bare feet from the bath. 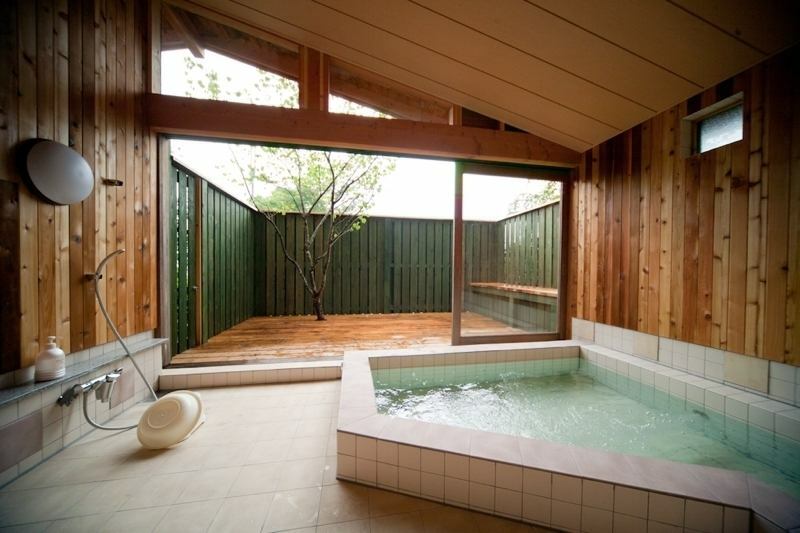 The area where 4 to 4 adults can stretch their legs, hot water is a natural hot spring which pumped water from a neighboring Izumi hot spring. Spring quality is a sodium hydrogen carbonate hot spring and has utility for chronic dermatitis, neuralgia, muscle pain, recovery from fatigue and so on. Please relax leisurely in the cozy bath with wood scent. The use time of the bath is from 15 o'clock to 23 o'clock.